Omg today was stressful. I took my SAT, but that wasn’t the stressful part, believe it or not! I was nervous when I was pacing the halls waiting for the test to start, but other than that I was calm. It was a long, boring exam, but it was easy. After 5 hours of spilling my brain for the test, I was relieved it was over. I arrived home just in time for the start of the game. The game…Oh, what a game! It was not a fun one for me….it was agonizing…pitiful…I just feel awful. My Yankees lost 7-6 in what was a heartbreaking game for me. Pitching Analysis: I was overjoyed that I got home in time to Javier from the beginning. I was happy, cheerful, and optimistic after my test. I felt I could conquer anything, and hoped Javy had that same bravado (good SAT word right there lolz). Unfortunately, this was not the case. Javier was, well…let me just say it outright – pretending I don’t realize it isn’t going to solve anything: Javier was dreadful once again today. He couldn’t even get an out in the 4th inning. In 3+ innings, Javy surrendered 5 runs, 3 homers, on 7 hits and 4 walks. He just looked miserable out there. He is so stressed out; it pains me to see him that way. I would hide my face too if I were you, babe….OH! Did I just say that? I’M SO SORRY JAVY!!! But it’s true….you poor pitiful baby…. Ozzie Guillen is a greasy rotten ****. I’m not sure if he did it, but even if he didn’t I still feel that way about him. In the 3rd inning, the umpires confronted Javier and told him he had to change his glove because it is “illegal.” ILLEGAL? Why, then, has he been using it for the last 4 years? I think Ozzie pointed that out to the umps to freak out Javy even more. He had to go down into the clubhouse and get a brand new glove. I mean, how rotten is that? The poor man is so uncomfortable already, and you have to add to that? For no reason? What really annoys me is that JJ Putz had the same glove only the colors were reversed, and no one said a thing. I think Girardi should have done something about it. I know that’s not why Javy was bad. But still….it’s just wasn’t right. Oh, Javier…you poor poor baby. I’m honestly very upset. I’m not mad at you, I just want you to succeed so much. The only reason I wasn’t hysterically crying over Melky’s departure for too long was because of you. I hate to admit it, but I am losing faith. I wonder now if it was worth it to get rid of Melky…. Joe Girardi got on my nerves today in the 7th. David Robertson has been so stinky lately. Why put him in in a 6-5 tight ballgame? Thanks to that, the Yankees lost. After Robertson screwed up the inning and put 2 guys on base, Girardi called on Marte to get out the lefty Pierzynski. 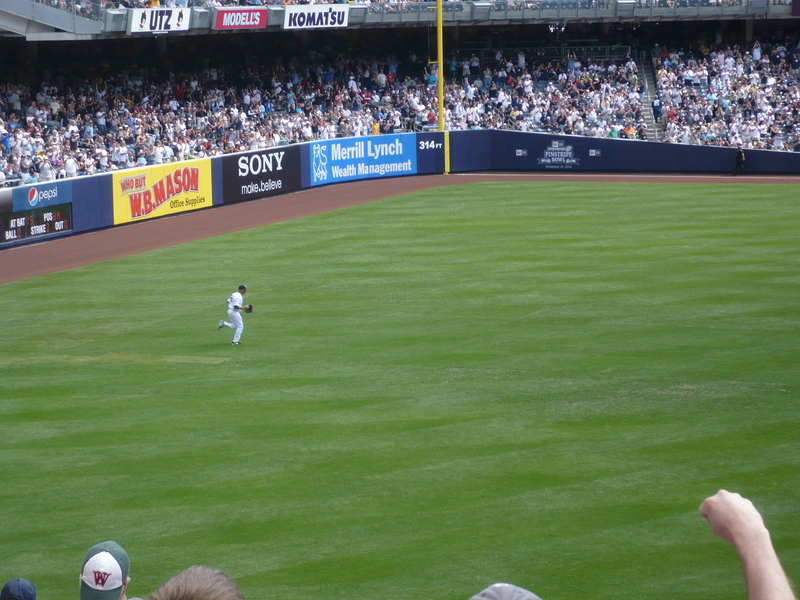 Instead, Marte served up a 2-run double, which gave the ChiSox a 7-6 lead, and took all hope of a Yankee victory away. 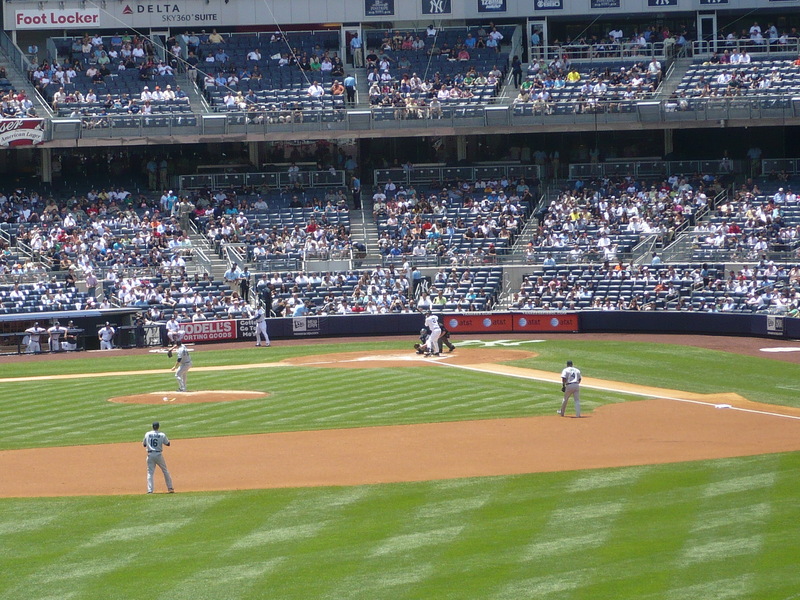 Offensive Analysis: The Yankee offense really wasn’t bad today. The lack of pitching led to loss today. I’m not really in the mood to go through the whole thing because they LOST…OH! I get that sick feeling when I think about Swish’s 2-run HR in the 6th…that gave the Yanks a 6-5 lead. I was almost certain they would win it after that…but no….like I don’t have enough stress on me already…they blew it. I almost died in the 6th. 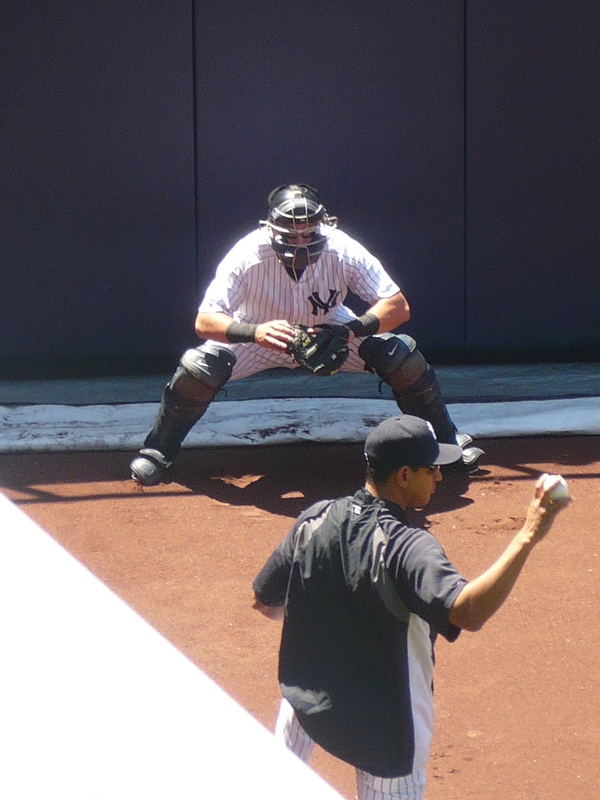 Prior to Swish’s home run, one of my truest loves….he….he….OH! WHY? WHHHYYYYY???? God, why did you do this to Curtis? To CURTIS?!?! He’s just…oh, he’s just too find…too GRAND….witnessing him limp like that felt like having a stake jammed through my heart….Just think: he was just starting to break out of his slump….he was just rounding the bases….and then he started hobbling…pitifully, painfully to 3rd base. It’s his groin. A grade 2 strain to his left groin is going to sideline him to the DL for at least 15 days…can you imagine what this did to me? I wish I had magical healing powers…oh Curtis! How I wish I could just make it better baby…you poor thing….Seriously, no joke, I almost cried when I heard you were going to the hospital for an MRI…I expected something bad…. It has been quite an agonizing day. Not exactly how I hoped to start the new month. 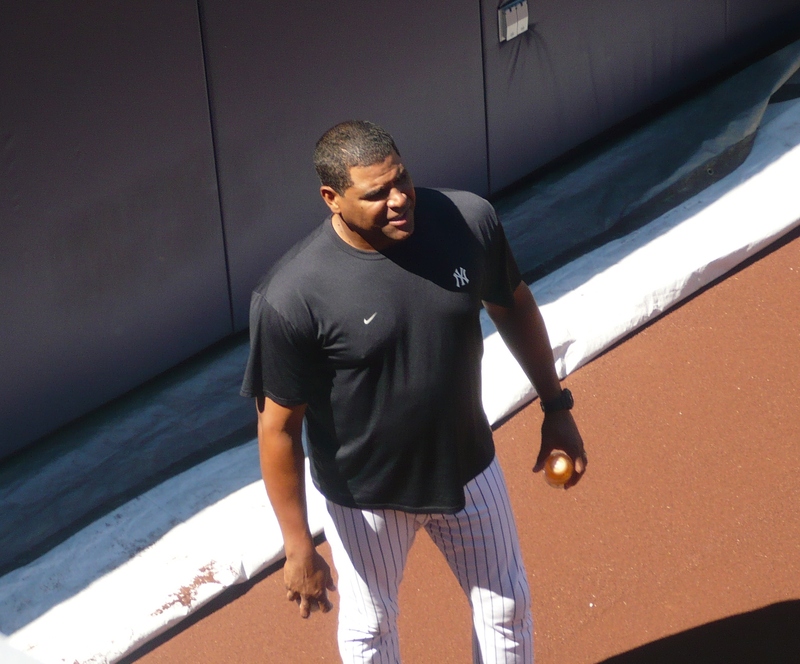 Poor Javier….poor Curtis….today was just not the best day for my Yankees. What if Javy continues to struggle? And then they like….-gulp-…get rid of him….that’s going to break my already half-broken heart. And…oh….what if GrandyMan’s groin is more serious than we know? What if he’s away for more than 2 weeks? 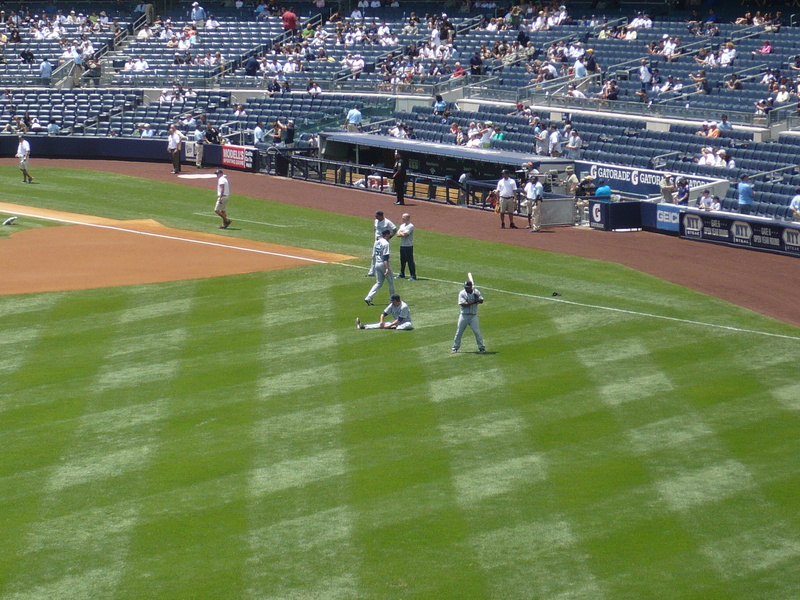 I’m going to suffer from Granderson withdrawl….This is too agonizing…can it get worse? Will it? Maybe the stress of junior year is finally catching up to me….maybe I am just overtired… It can’t get worse. I mean it can, but it won’t. It definitely won’t. It will be okay. It has to, because these are the Yankees. They make things interesting, but when it’s all over, it will be okay. It’s a long season…there will be ups and downs. But at the end, I think I know where this team will be. Yeah. It’s painful right now, but it will be alright. And there WERE some positives today…like Mitre (♥). That guy was dealing today. And Swisher’s Yankee Stadium funk may finally be over. And Tex looked good today. And Jorge is alive! Tommy is my little brother. He’s a good kid. Tomorrow is Tommy’s birthday. He is going to be 15…not so little anymore. 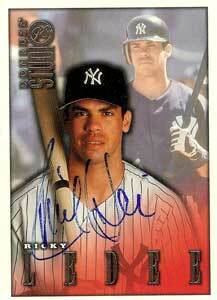 Remember Ricky Ledee? The adorable little rookie sensataion? I liked him a lot, too. I remember when he got traded. He cried. And he kept his uniform with him. #17. Ledee was cute. I wonder what happened to him. He disappeared after 2007. David Cone…who doesn’t love this guy? He was such a crafty pitcher. And who is going to forget about that little perfecto he threw in 1999? Tommy and I were a little too young to really remember that game, but we’ve seen the Yankees Classics of it dozens of times. History like that never gets old. David Cone was one of our favorite commentators on the YES Network. Every time he was on, he was hilarious. He was always joking with Michael Kay, and somehow they always talked about how Cone has a wild night life. 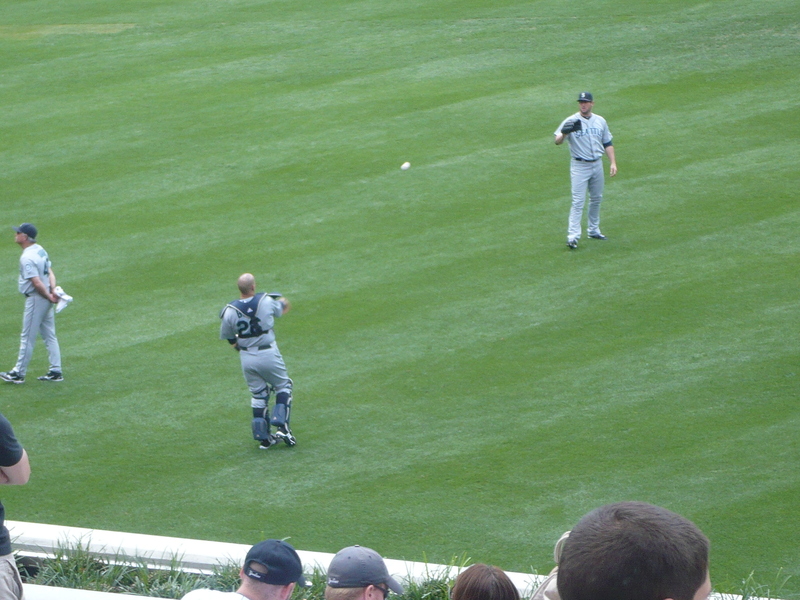 I don’t know what was more fun: watching him pitch or listening to him broadcast. Aw, Scottie. He was such a nice man. And he was so smooth at 3rd base. He was known for that barehanded grab on ground balls. I think his retirement stunned everyone. He retired after the 2001 season, when everyone was focusing on O’Neill’s retirement. 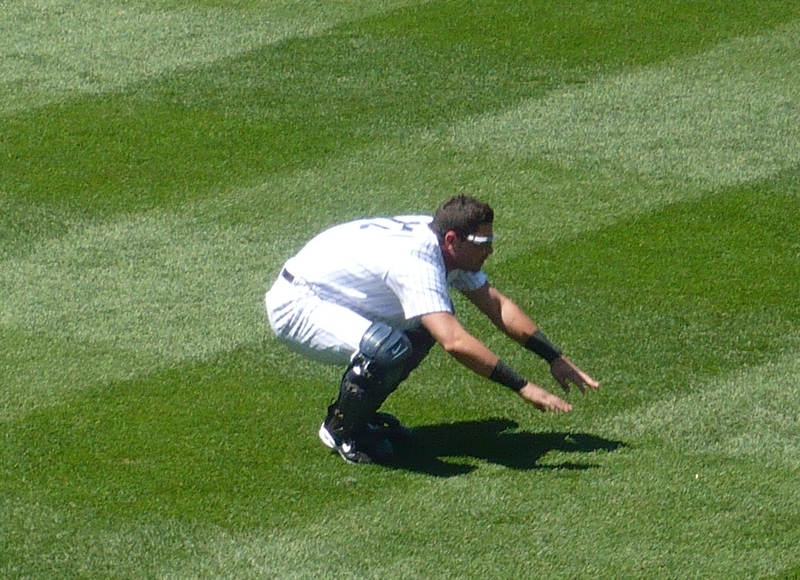 Brosius was only 34 when he called it quits. Tommy was in shock when he heard Brosius wouldn’t be back. One thing me and Tommy have in common is that we get very attached to players very quickly. Aah, the Warrior. Paul was always a pleasure to watch. Whether he was crushing the ball, or crushing the water cooler, O’Neill always made us smile. His retirement was a hard one to deal with. 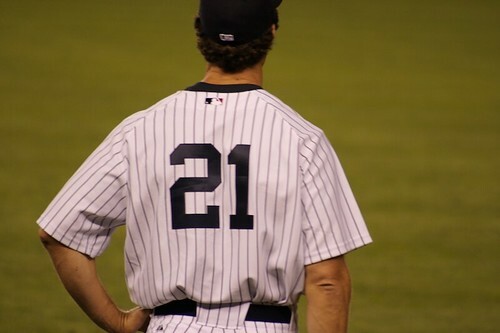 #21 hasn’t been worn since – well, aside from the 1 day LaTroy Hawkins wore it before getting booed out of it. 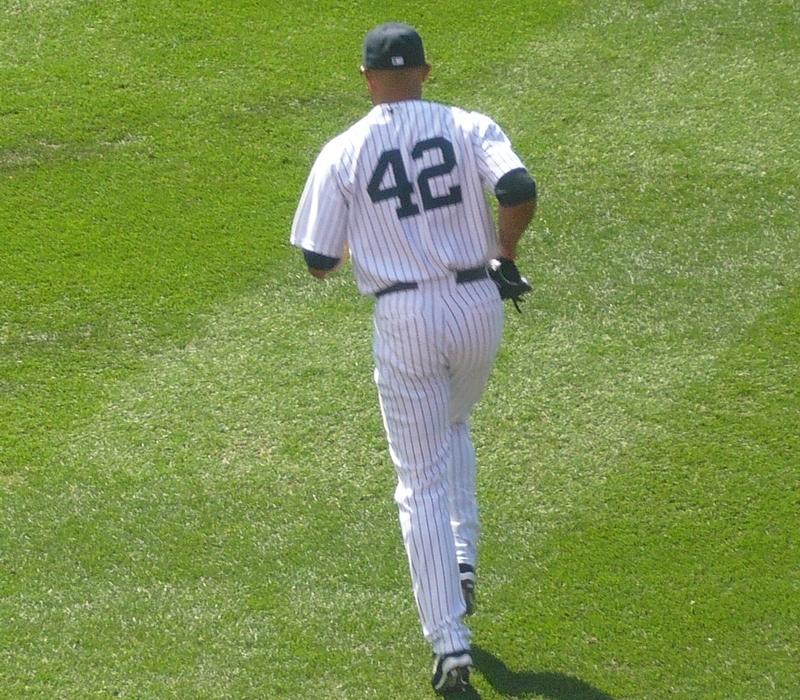 The Yankees really should retire this number already. 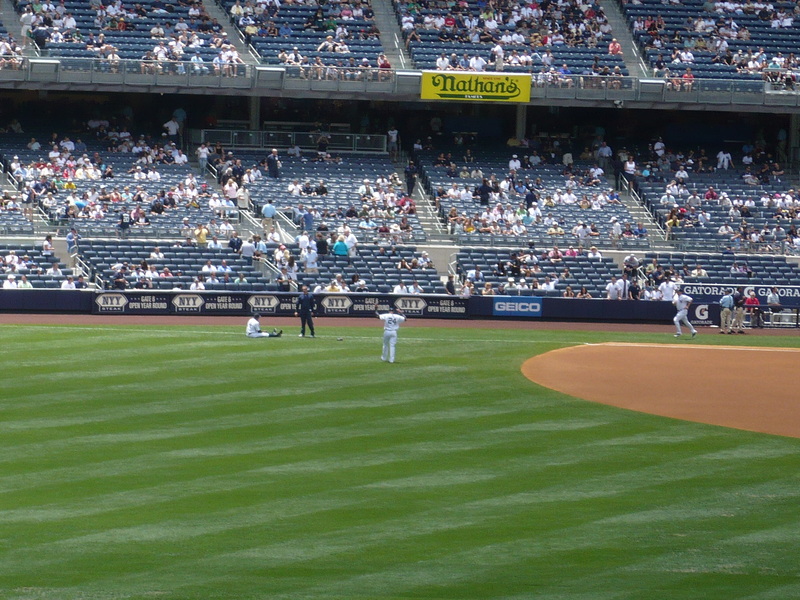 I thought they would do it at the opening of the new Yankee Stadium, but they didn’t. We’re waiting…. Well, those are Tommy’s favorites from his favorite Yankee team. You might be wondering…who is his favorite Yankee of today? I’ll give you a hint: he’s crazy, just like my brother. Still don’t know? 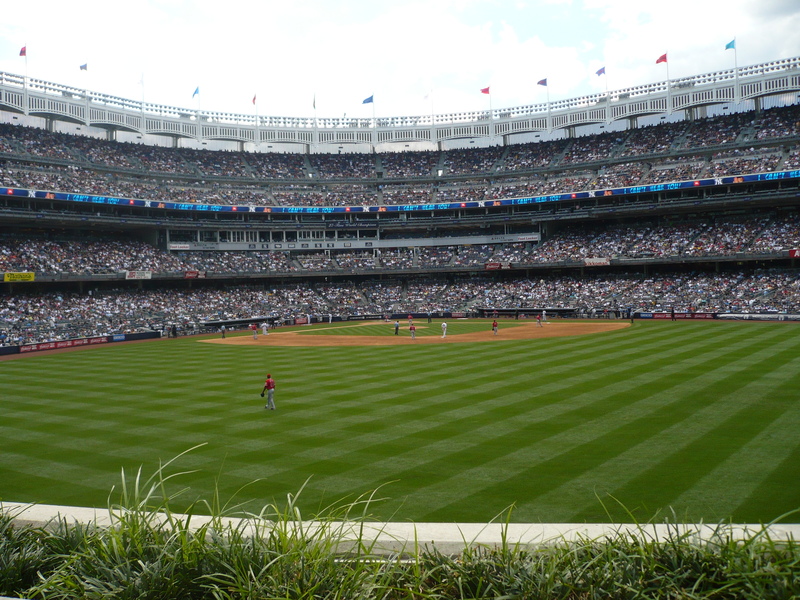 Also, tomorrow is the day that PITCHERS AND CATCHERS REPORT FOR THE YANKEES!!! OMG! Baseball is inching closer…. Last night’s game was fun. The Yankees were the Drama Club last night. But before we get there, let me give an extremely quick wrapup of Sunday’s game. We won 13-3. 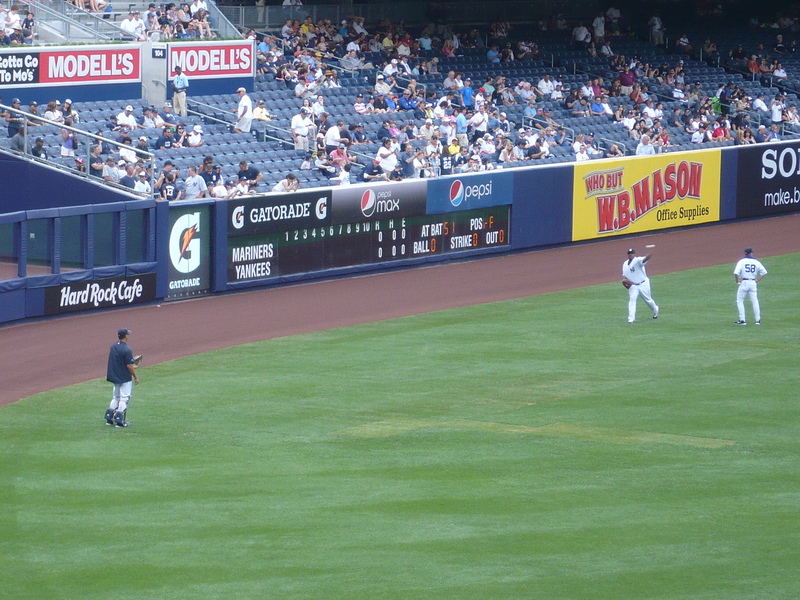 Matsui had 5 RBIs and CC was awesome. Okay. As for last night, we gave the Angels a taste of their own medicine. 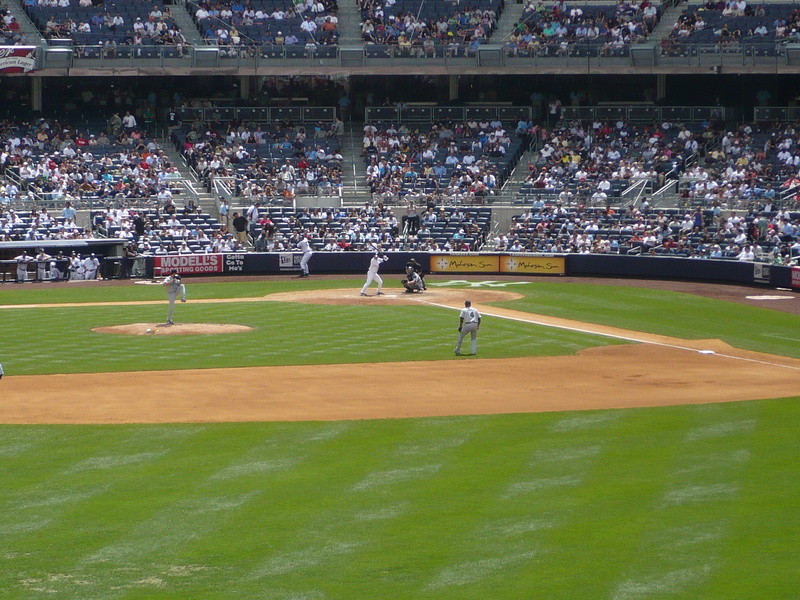 The Yankees beat the Angels last night 5-3. It was a beautiful win. Pitching Analysis: Joba Chamberlain started for the Yanks last night, and when I found out it has him, I was like, “Oh, boy..this should be fun…” But Joba was pretty good. He allowed a solo homer to Vlad Guerrero in the 2nd, but that is okay. There is nothing that guy can’t hit. Aside from that, Joba looked pretty good. That had to be a confidence booster for him. It boosted my confidence in him! Alfredo Aceves relieved Joba in the 5th, and once again he did a remarkable job. Ace has been nothing but good things for this club. In the 7th, the Angels had runners on first and second with 1 out, and Girardi called for Phil Coke, which made me a little nervous. To my surprise, Cokey got out of the jam unscathed. It was Hughes who got into trouble. The bases were loaded with Halos, and there were 0 outs. 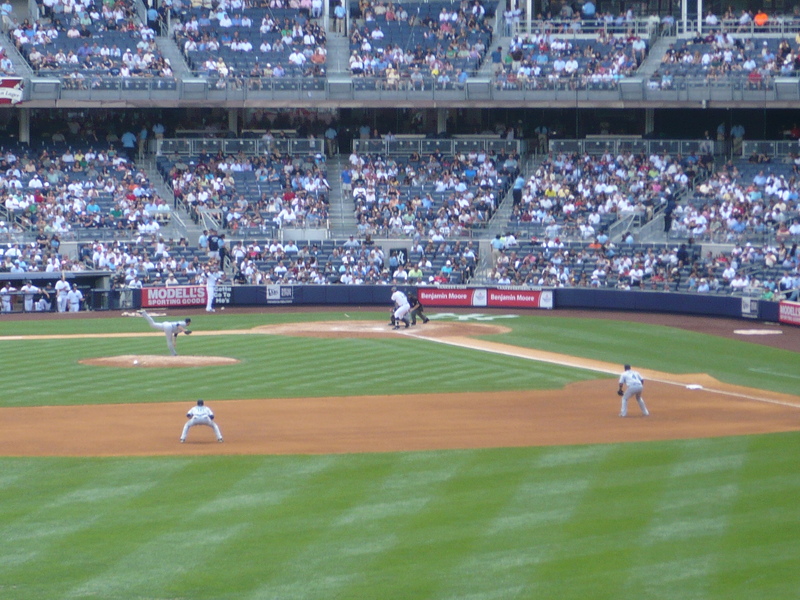 The Yankees were leading 3-2 at this time, and I was freaking out. I could not watch the game go down the toilet. I had my face half covered. I wanted to watch, but I didn’t. I heard the crack of the bat, and I was brave enough to look at the screen. I saw a double play! But the score was now tied at 3. Then Howie Kendrick lined out, and the inning was over. Bases loaded, 0 out, and only 1 run allowed? All things considered, not too shabby. Yeah Hughes! As always, Mo had a scoreless 9th, and he picked up his 40th save of the year. Impressive. Mo for Cy Young!!! The Yankee pitching was excellent last night. They did a nice job quieting the Angel bats. Defensive Analysis: The pitching was good, and so was the defense. 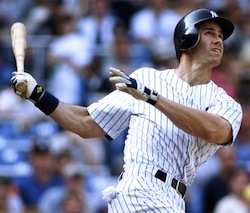 In that 7th inning jam, Derek Jeter made an absolutely fabulous play, and so did Texy-wexy on the other end. 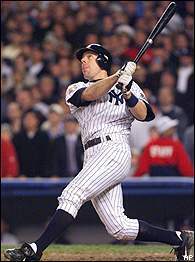 The ball was hit up the middle, and Jeet ranged to his right, (who said Jeet has no range?) spun around, and fired to Tex, who made a lovey scoop for the out. It was a gorgeous play. The 6-4-3 double play in the 8th with the bases loaded was huge. It was turned perfectly. Offensive Analysis: Jered Weaver does pretty well against my Yanks. He pitched well last night, but not well enough. In the 3rd, Swishalish hit a solo bomb to right. 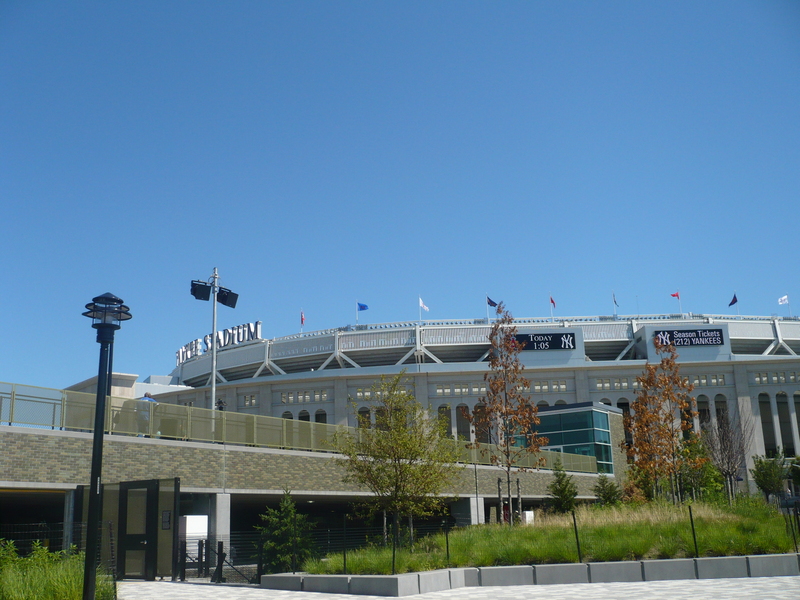 Is he finally getting comfortable at the new Yankee Stadium? I hope so. That homer tied the game at 1. In the 5th, Swisher doubled, my man Melky walked, and Jeet bunted them over. So it was 2nd and 3rd, 1 out. 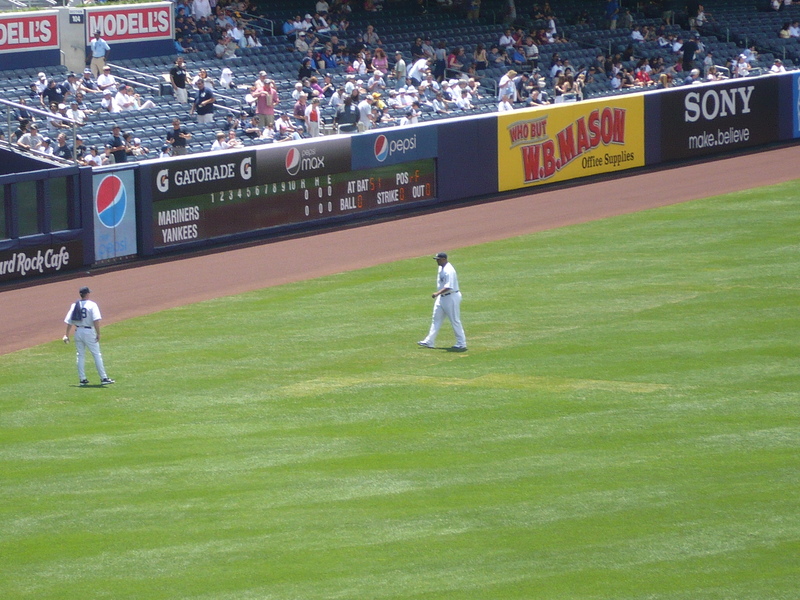 Mark Teixeira came up, and he crushed a ball for a triple! 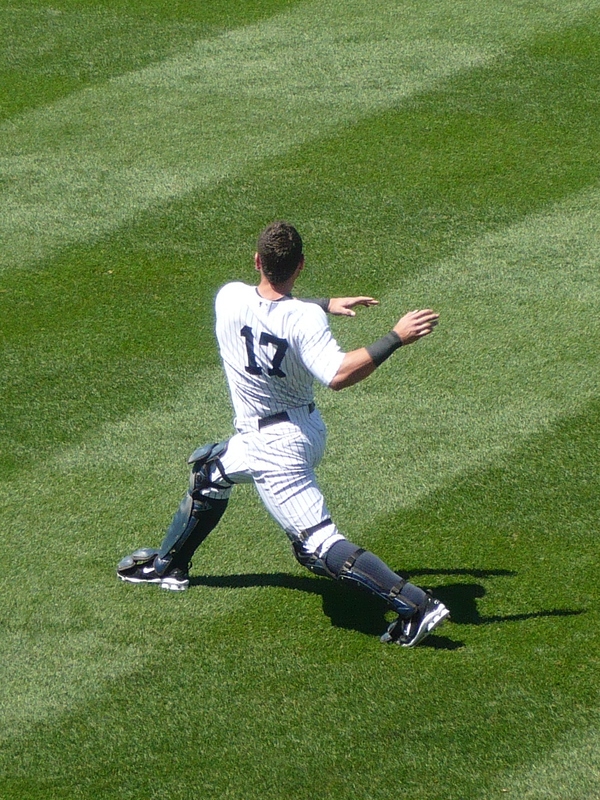 Mark Teixeira. Triple. Those words are not put together too often. But whatever. Now the Yankees had a 3-2 lead! After the Halos tied it up in the top of the 8th, the Yanks looked to go ahead in the bottom half. With 1 out, Tex doubled and Arod walked. 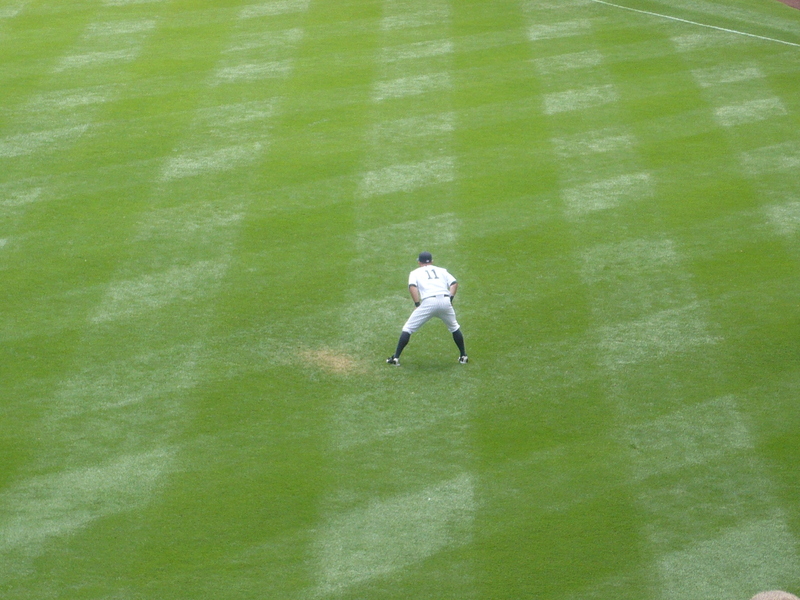 Brett Gardner was sent in to pinch run for Tex. Right as I was saying how it was stupid to take out Tex’s bat, a double steal was happening. Brett headed for third, and Napoli’s throw went into left field! Brett was motoring around third, heading for home. Safe! Yay for Brettiboo!!! 4-3 Yanks! He scored, and now Arod was on third. Speed kills! Later in the inning, Cano provided some insurance with an RBI single. That made it 5-3 Yankees, and they went on to win it. Run Brett, run! I’m sorry I ever doubted you. You rock!!! It was another fun day to be a Yankee fan. The game was pretty exciting; the Drama Club did it again with another comeback win! I like how the Yankees gave the Halos a taste of their own medicine. They put the ball in play, and forced the opposition to make the plays. Nicely done. The heroes for the victory are Joba, for having a solid outing, Mark Teixeira for his bat and glove, and Brett Gardner for his wheels. The Yankee lead over the Smelly Sox who cheat at Fenway is at 7.5. It’s lookin’ good. I desperately want #27 this year…I’ve been waiting too long. Oh! I think Mitre (♥♥♥) is pitching tonight. You all know how I feel about that guy…..hahaha…. I’ve been pretty busy with school and all that jazz, but I vowed to keep blogging. I feel bad that I missed a few days. But I promise that the blog will go on! I am having too much fun with it to stop. GO YANKEES!!! I LOVE YOU GUYS!!!! I feel bad that I did not put someone on the cutie post. He deserved to be there, so I will put him now. 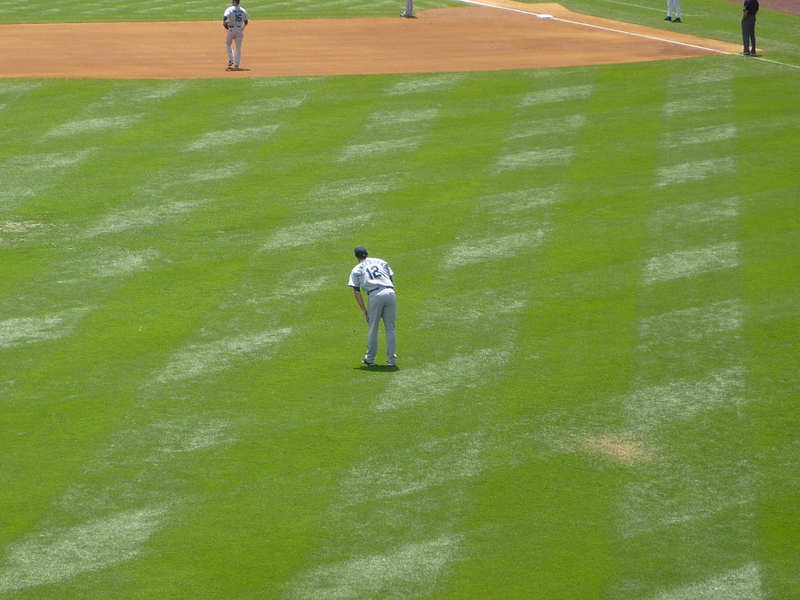 The Dodgers’ very-own James Loney. Cat, he is a cutie. I really felt bad that he was not on my list. Now he is alone on a special cutie edition. Yeah, James! I hope your neck feels better!